If you share a computer, or when someone else just needs to use your web browser for a while, you probably know the dread of worrying about a million saved web logins, history, saved searches, and whatever other customizations and personal data you have in the browser. 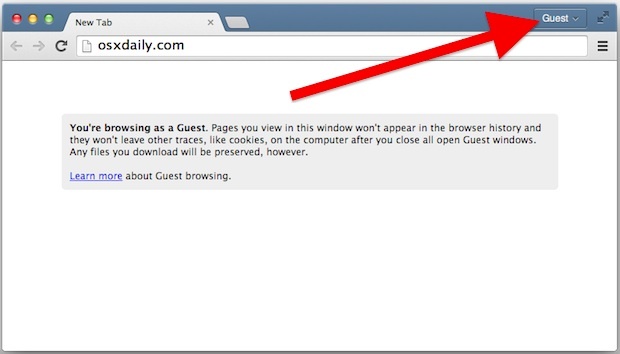 Common solutions are often to use a guest account, a different web browser, or even Private Browsing mode, but another option is to enable a hidden Guest Browsing and profile mode in Google Chrome, which makes multiple account management much easier and specific to the Chrome web browser. Guest mode is actually a lot like opening a new incognito window (with the same window coloration and everything), where nothing is saved and the user activity doesn’t leave any cookies or history as cache on the computer. This is a really great feature that in some ways is like using Private/Incognito Browsing in web browsers, except that you also have an option to quickly switch between Google user accounts through the window menu, which can make juggling multiple user accounts extremely easy. As of now this appears to be limited to desktop versions of Chrome, but perhaps a similar feature will be implemented in Chrome for iOS and Android in the future. If you need deeper protection without having the user login page you could have here go to this folder : ~/Library/Application Support/Google/Chrome, move the “Default” folder to a secret location (you can also zip it with a password) and relaunch Chrome. Whenever you need to access to your previous browser state you will need to first: delete the new folder “Default” that Chrome created when relaunching it before and then put back in the previous folder you moved to a secret location. It looks like logging off is not working correctly. If I click on a link in a email program, the link opens with all my password protected user previously opened tabs. So close! 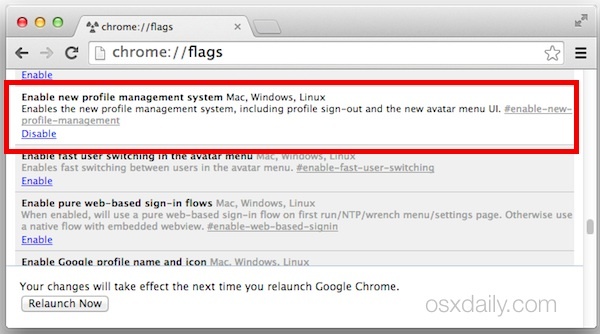 Looking for how to set the default google account for when I open Chrome. 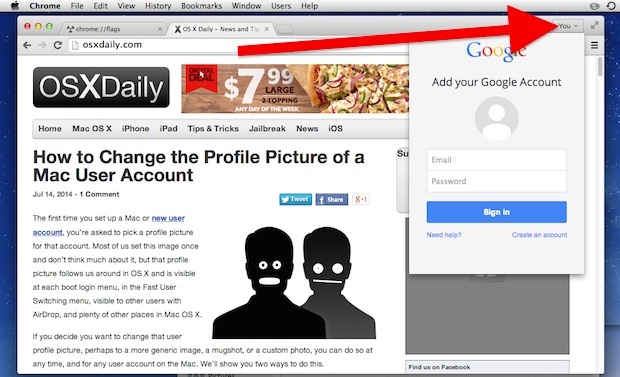 Example: I’m logged in to chrome with 2 seperate accounts – my personal and my work accounts. I want to keep the browsers totally separate. HOWEVER, I want my personal to be the default so when I open chrome, or i click on a link somewhere else that takes me to the internet – i want it to open in my PERSONAL browser – NOT my work… PLEASE HELP! Anyone have any idea how to do this? ?